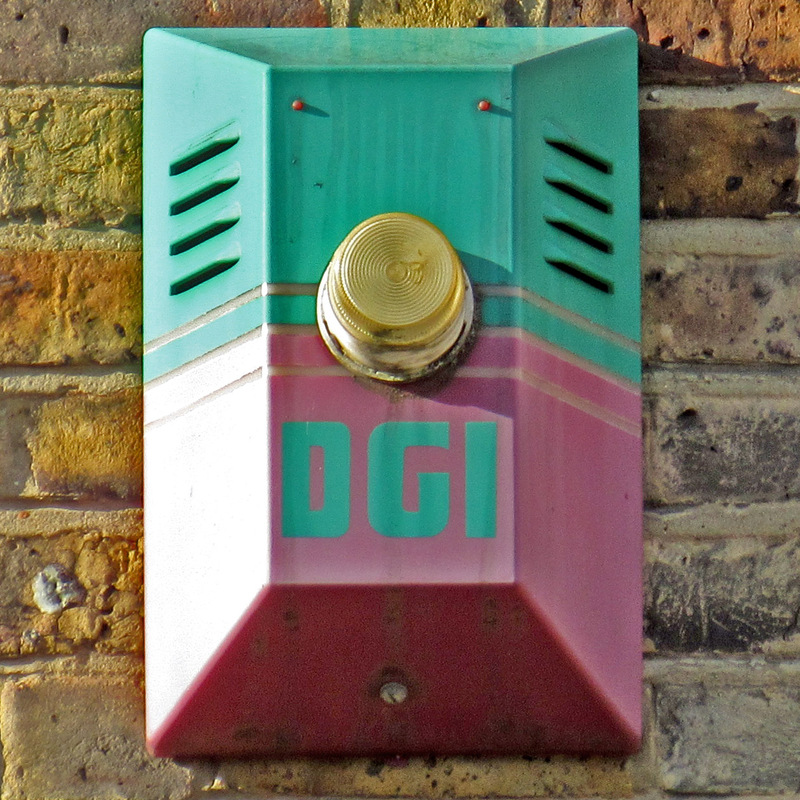 DGI, Upper Holloway, Islington, London, N19, 2016 (by Christopher Seddon) • Possibly the last alarm for a while, a rather racy two-tone jobbie supplied by the noted prehistorian Christopher Seddon (books here), who was trying out his super duper new zoom camera. Blimey, that would be interesting. Seems a strange company to set up alarm business! Is this Doulton Glass, they did set up an alarm company that didn’t last many years.